I’m typing this from 30,000 feet in the air, with a runny nose. All I want is my Neti Pot. I’ve had a two-day allergy attack, no doubt caused by my cats plus the cleaning that I was doing in advance of going on this airplane. Let’s just say I’m getting used to sneezing and finally dug out the lovely cotton handkerchiefs handed down from my Grandma Comfort because I was so tired of piles of wadded-up tissues all over my house. My kids, after a few false starts, now LOVE the Neti Pot and beg me to let them do it. Of course, this is usually requested at bedtime, when they are stalling. My mom, who has suffered sinus problems her whole life, now uses the Neti pot and has seen huge improvement. My friend Caroline used to snort mugs of warm salt water up her nose and then shoot it back out—a primitive, violent, messy method, but roughly the same idea. I sent her a Neti pot. I think she used it, but then it broke, and she went back to the mug. 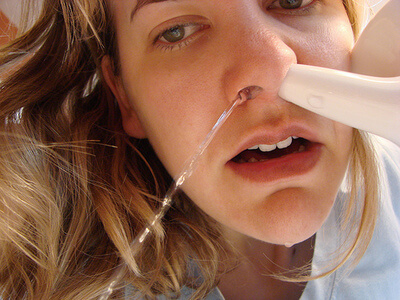 But there are cheap, plastic Neti pots, available in most pharmacies—so maybe I’ll spring for another one. My yoga practice led me to awareness of the ida and pingala, which are the subtle “moon” and “sun” currents of chi that spiral up and down the central energy channel in our bodies, intersecting at the chakras. Just like nadi shodhana pranayama practice, I believe the Neti pot helps balance these subtle energies to promote overall wellness. Finally, the Neti pot is an exercise in prevention…it doesn’t work when your passages are already closed, though it does get a little salt water up there to start working out the clog. It’s better to use the Neti when you are already feeling fine OR just on the verge of being stuffy OR when you are trying to rinse irritating allergens out of your nose. I might have to start traveling with mine, just in case. 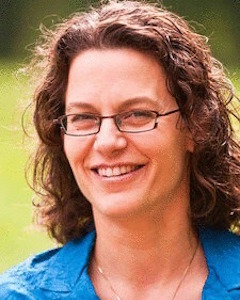 Susan Comfort spent two decades working for environmental groups like EWG and 1% for the Planet, trying not to let all the bad news get her down. She now promotes the cause of play as the VP for Philanthropy with KaBOOM!, for which she has personal trainers in-house: her 7-year-old boy and 5-year-old girl.